Dining out in Vegas! What’s your pick? At the end of April, Ben and I are headed on a family outing to the great state of Arizona…by way of Las Vegas! I’ve been to Vegas several times and have experienced a little of everything when it comes to the food – but I haven’t been there in several years – and many new, amazing places have cropped up as fast as they can build casinos on the strip. There are so many choices – and if you want to think of it Vegas-Style – there are so many countries and cities to dine in. How does one choose? It would be ridiculous to think I can plan a vacation without looking at the dessert list. 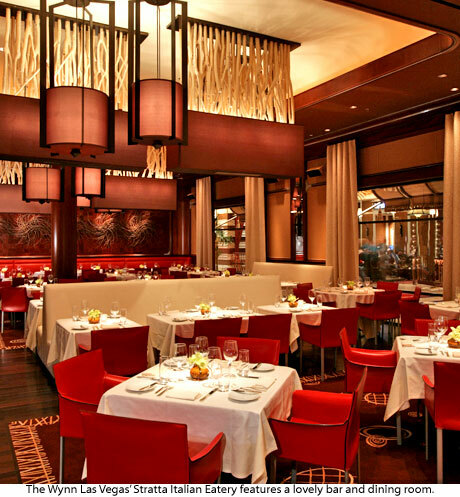 Help us out by offering your “Foodie Favorite Picks” for dining on the Las Vegas Strip. We’re there for 2 Dinners, 2 Lunches and 2 Breakfasts. What happens in Vegas, gets posted here. This entry was posted in Uncategorized and tagged bally's, Bisbee, Bouchin, buffet, dining out in Vegas, gampbling, Grand Canyon, Las Vegas, slot machine, steak house, vegas baby! on March 29, 2009 by galfoodie. Irish Soda Bread is Good for You. It’s one of my favorite food-oriented events, St. Patrick’s Day. It’s also a “holiday” that makes me laugh at my own country, because only us Americans celebrate it with a fervor not seen since the Gladiators entertained Rome. It’s our big excuse to leave work early and show back up the next day with a story about playing pool with a deaf man in zooba pants and a raging hangover (well, I guess St. Patrick’s Day has stiff competition with Cinco de Mayo). And of course, everybody is Irish on St. Patrick’s Day. I’ll admit it. I’ve had my share of pub crawling on this very day – dodging work, wearing green and sporting a button or two declaring my desire to be kissed based on my heritage. I am, in fact, quite a bit Irish. My red hair, freckles, pale skin and name are the first giveaway – and a black and white photo of Nana Murphy on the lap of my Great Grandparents, fresh off the boat from Roche’s Point, has led me back to County Cork once already in my lifetime. Alas, lassie, since we’re all a little Irish today it would only be fitting to drink a little Guinness and bake a little Irish Soda Bread. This is one of my favorite family recipes. I got it from my cousin Molly, who got it from her mother, Sara, who got it from her Grandmother somewhere in between County Cork, Ireland and Boston, Massachusetts. I’ve modified it slightly to be a little healthier and heartier (at this I give you the mischievous look of a leprechaun who just told you a tricky limerick). And suggest it be eaten warm, and completely saturated with sweet cream butter. 2. Sift dry ingredients together. Add currants to dry ingredients and toss well to coat. 3. Melt 2 tbsp of butter and whisk together with buttermilk and eggs. Add to the dry ingredients, along with the caraway seeds, and mix just until blended, being careful not to over mix. 4. Spoon batter into the skillet and dot the top with remaining 2 tbsp. of butter. Mmmmm. Butter. 5. Bake at 350 for about 60 minutes until golden brown. Cool slightly before removing from skillet and cooling completely on a rack. Or, cut it into wedges and serve it warm. With lots and lots of butter. Today, may the road rise to meet you feet first. And for the sake of tomorrow, stick to overindulging in the soda bread. It’s good for you. This entry was posted in Uncategorized and tagged baking, baking powder, baking Soda, Boston, buttermilk, Buttermilk Substitute, caraway seed, cinci de mayo, County Cork, currants, eggs, family, green, Guiness, Ireland, irish, kiss, milksugar, Murphy, pub crawling, recipe, recipes, rome, Salt, Seattle, Soda bread, whole wheat flour on March 17, 2009 by galfoodie. Knowledge is power, and olive oil can be a complicated topic! ChefShop.com knows their olive oils, so if you are just getting educated about the different uses for olive oils, or are a seasoned professional looking for a new treat, you won’t be disappointed with either of these Gal Foodie Favorite picks! Many of you know that one of the best deals in olive oil is Organic Chef’s Pick from Albert and Kim Katz. We often speak highly of their oils and, just recently, we let you know that Katz December Oil (2008) was their very best new oil ever. Their Meyer Lemon Olive Oil is a sure-fire and always-fun winner too. Well, it is that time of year again. The new Organic Chef’s Pick is here… the first bottling and, as such, the most robust of the year. (Each shipment is a little different as the oil is kept in an airless stainless vat until it is bottled. So, the oil will mellow a little as the year progresses.) This year’s Chef’s Pick oil is a direct reflection of the December Oil. If you were one of the lucky ones to have ordered a bottle this year, you know what we are talking about! This year’s Organic Chef’s Pick oil is full of vitality, green with a punch, has a smooth feel, and a finish that doesn’t linger too long. It explodes in the mouth – full of expression. It really is good! This Gold Medal winner, at $25 for a 750 ml bottle, is by far one of the best deals in the world for such a great olive oil. If you like Italian oils, this oil will show you why California is a great place not only for wines, but for olive oil too! It has been a rocky road for Rock Hill. For me, Rock Hill has never been my personal favorite. An oil with definite character and personality, but, like people, perhaps not your cup of tea. Its opinionated taste has brought it Gold Medal accolades for the last three years at the prestigious L.A. International Olive Oil Competition. The flavor characteristics in the past have been strong, with a sharp pronounced olive along the edge of the tongue, some bitterness, clean grass, and a strong, open flavor. Delicious, but never quite as appealing to me as the classic Chef’s Pick. But despite this oil’s bumpy start, it has an ever growing following, perhaps because of its strong personality. New Organic Rock Hill has matured into a very special oil. With a grove of Allegra olives now producing enough olives to be the significant voice in the oil, Rock Hill seems to have found its song. I guess as a young oil that you expect to be a superstar, there comes likes and dislikes. This year it appears that all things have come together on top of Rock Hill…and here’s why. The olives that make up this year’s complex oil include Taggiasca and Casaliva olives, native to Ligurian and Lombardy regions in Italy. These two olives make up 40% of this oil and contribute a soft taste, a hint of fruit, and a rich mouth feel. The Leccino olives, which make up 10% of this blend, add the classic green grassiness and peppery finish, so typical of Tuscan oils. The Allegra olive makes up 50% of the blend. A slow growing (low-vigor) and very rare olive variety from Italy creates beautiful “clusters” of fruit, yielding full oil with wonderful round flavors. This is the “secret” ingredient! The Allegra olives (and trees) are just maturing and are making Rock Hill one of the most interesting oils of the year! If you haven’t tried it, this is the year to do so! Albert and Kim Katz have completed their third transitional year for all of their olives using organic and sustainable farming practices. They are proud to have made this commitment, and Gal Foodie is thrilled to further her longtime support of organic farming. This entry was posted in Uncategorized and tagged california, chef's pick, chefshop.com, crusty bread, farming, foodie favorite, Italy, katz, olive, olive oil, organic, sustainable on February 25, 2009 by galfoodie. From the outside looking in, my Valentine’s day was nothing special. I spent it cleaning the bathrooms, doing laundry, and making a marketing plan for my client Rossi Pasta. Not exactly a whirlwind trip through the streets of Paris. But from the inside, it was warm and fuzzy, and I found as I was pulling together some of the tasks of the day, I was touching items and doing things that had pretty significant meaning to me. I enjoyed 3 cups of my favorite coffee while Ben made me Belgian Waffles covered in fresh strawberries. After breakfast, I did dishes side by side with Ben, just as my grandparents used to do, sharing laughs and to-do lists for the remainder of the day. I took my dog, Asher, for a brisk, sun-drenched walk around Seawall, my favorite part of Mount Desert Island. I returned home to organize, clean and straighten because I love a tidy house. And I made Ben heart-shaped raspberry cheesecakes as a special surprise dessert because I loved the idea of making him something that would make his heart sing. As I pulled together the items I would need, the memories flooded in when my hand grabbed the old aluminum cake pan – my grandmother’s pan – with her name scrawled on the side lest it be left behind at a birthday party or a church supper. The pan with the 6 ring marks on the bottom and the perfect water line made by 40 plus years of making my grandfather the custard cups he loved. The pan that made coffee cake every Sunday, and her traditional New Zealand birthday cake for the family she loved. It was now to be the vessel for my love – a water bath for the cheesecakes. 1. preheat oven to 350F. Mix all ingredients and press firmly into bottom of prepared pans. bake for 6 minutes then set aside to cool. 1. In a mixer, combine cream cheese and sugar until light and fluffy. Beat in eggs and vanilla until well blended. 2. Wrap outside of pans in 2-3 layers of foil to prevent water from leaking in. 3. Fill the pans 1/2 full with cheesecake batter. Drizzle raspberry sauce in to make a thin layer. Pour in remaining batter filling to just below top of pan, being careful not to mix it into the sauce. 4. Place smaller pans into a larger pan, and fill until water is 1/4 – 1/2 up the sides of the spring form pans. This is called a ban marîe (water bath). Bake for 45 minutes, or until the centers are not jiggly. Remove from the oven and place directly, uncovered into the fridge. Best to leave them overnight, but OK to eat in a couple of hours. 2. To serve, cover the top of the cakes with the raspberry mixture. I also put a touch of chocolate sauce on the plate for dipping. Best part… Share it with someone you love. It’s a great thing to have. Especially when you know it’s true. Be it the love of a pet, a keepsake, a boy, one thing I’m sure of… When there is love in your world, it’s a wholly different place. Ahhhh, but what did Ben do for you for Valentine’s Day you ask? He spent the day doing something he loves – welding a sculpture for me. And I loved it. This entry was posted in Uncategorized and tagged cheesecake, dessert, heart, heart cake, love, raspberry cheesecake, sculpture, simple cheesecake, small cheeecake, valentine's day, welding on February 15, 2009 by galfoodie. We’ve been nominated Best Food Site by the Bloggers Choice Awards! But we need your votes to win! Vote HERE. Scroll down to Gal Foodie and cast your vote! Who knows! you might get a nice plate of cookies for your efforts! Life is short. Eat Well! This entry was posted in Uncategorized and tagged blog awards, cookies, vote for gal foodie, we need your vote on February 13, 2009 by galfoodie. Gal Foodie Recipe Contest! Enter Today! THIS MONTH’S CONTEST: Comfort Food! I’m giving away a copy of the newest (most favorite!) edition to my cooking library – The Silver Palate Cookbook 25th Anniversary Edition , in exchange for your submission of the winning recipe! 1. Send me your favorite recipe for comfort food. The term “comfort food” can mean anything, so send me something that makes you feel good when you make it. You also must tell me WHY this is comfort food to you. I prefer original recipes, however if you have one from a book or other resource YOU MUST disclose the source. Entries that appear to be plagiarized with no cited source will be tossed like a salad. 2. If I select your recipe it will be published on the Gal Foodie website along with your photo and you will also receive the cookbook Silver Palate Cookbook 25th Anniversary Edition . 3. Recipes will be judged based on taste, originality/artistic flair, ease of preparation/practicality, and appearance. 4. Deadline for submission is March 1, 2009. This entry was posted in Uncategorized and tagged cookbook competition, recipe competition, recipe contest, silver palate cookbook, submit recipes, win a free book on February 13, 2009 by galfoodie. This is one of my more favorite childhood memories of my Dad, and funny enough, it involves meatloaf. I think I was around 7 or 8, and my brother was probably 4. Dad was left to his own devices when it came time to cook the 3 of us dinner one night. He decided on meatloaf, which seemed an easy crowd pleaser. My Dad, with his beloved grandson, Drew. How hard could it be to throw some ground beef in a bread pan and bake it? But with 2 distracting, rambunctious kids in feety pajamas bouncing off the walls of our tiny kitchen, the meatloaf became more of a “work in progress” than he had bargained for. Into the pan went the lump of meat and other ingredients he had combined and shaped into a loaf. Satisfied that he had accomplished the feat of dinner, the meatloaf went into the oven. I don’t exactly know what kick-started his memory of the meatloaf recipe after the fact, but I DO remember him suddenly exclaiming “The eggs!” as he leaped off the couch, and out came the meatloaf. It went on like this for several more attempts. “The ketchup!” “The cheese!” And each time the exclamation was followed by the meatloaf coming out of the oven, being remixed and put BACK into the oven. It was fun. And funny. And the meatloaf was pretty good, Dad. The memory, that much better. I can probably count on one hand the number of times I’ve made meatloaf in my adult life. Ben made a request for it this weekend, and with winter well underway here on Mount Desert Island, it sounded like the perfect comfort food for a snowy evening. When I say this is the best meatloaf I have ever had…Heck, when BEN says it, we know we’re on to something. Juicy, savory, bacony, speechless. Little did we know how amazing and versatile my meatloaf recipe was going to be. We squeezed a meat and potatoes dinner, 2 sandwiches, and a pasta dinner out of one loaf. * I got this herb mix from Rossi Pasta, in one of their gift baskets. it’s basically a smidgen of all of the following – enough to make a tablespoon: Basil, oregano, rosemary, marjoram, and thyme. Dried or fresh – it’s up to you. 1. Mix the wet ingredients with the dry until combined. 2. Knead in the meats until blended. Over kneading, however will produce a chewy result. 5. Remove from the oven and drain off excess fat. Serve with mashed potatoes and smothered in gravy. 6. Fall in love. Eat too much. 1. Grill a slab of meatloaf in a dab of olive oil, on both sides. Place between two slices of bread slathered with ketchup and mayo, and grill on both sides. Fall in love. 2. Grill a slab of meatloaf in a dab of olive oil, on both sides. Place atop a pile of linguine and cover with red sauce and Parmesan cheese. This entry was posted in Uncategorized and tagged bacon, cheese, cooking with dad, dinner for two, easy family dinner, herbs and spices, ketchup, meat and potatoes, meatloaf, memories, onions, pajamas on February 5, 2009 by galfoodie. Chicken Divan for Cheaters. Or, if you’re just not feeling well. And food doesn’t sound that great to me right now. But I just got a call from my Mom who was praising the folks who have been kind enough to bring she and my Dad dinners on a regular basis since she had surgery last week. She hasn’t felt like eating much, but someone brought her Chicken Divan casserole. And that was starting to sound pretty good. Something to note: My Mom makes the best Chicken Divan on the planet. Everybody’s Mom probably does, but just hearing her say the words made my infirm palette get a little drooly with the memory of her comforting , warm and creamy dish. Without much energy to spare, I decided to try and fudge her recipe a little and cut a few corners. I really want that comfort food, but I don’t really want to spend more than 20 minutes in the kitchen. I rummaged around, found a few things I knew would be OK substitutes (OK, OK, canned soup IS one of the subs and I know I’ve said in the past I’m not a big fan but…) and dinner was in the oven in 10 minutes flat. 6. Start the Rice Pilaf and it should be done by the time the dish is out of the oven. 1. Layer the chicken and broccoli in a casserole dish. 2. Make a roux by melting the butter in a saucepan over low heat and stirring in flour until smooth and well blended. 3. Remove from heat and gradually stir in the chicken broth. Place back on heat and slowly bring to a boil, stirring continuously. 4. Simmer for 1 minute then stir in salt, pepper, and nutmeg. Remove sauce from heat add Parmesan cheese and sherry then stir in the slightly beaten egg yolks and bring to the boiling point again. 5. Pour over chicken and vegetables in the casserole dish. Bake at 350 for 20 to 25 minutes, or until bubbly and browned. This entry was posted in Uncategorized and tagged broccoli, casserole recipe, chickan dish, chicken, cream of chicken soup, cream of mushroom soup, easy-recipes, family dinner, fast dinner for kids, good food for sick people, rice, Rice Pilaf, Swiss cheese on January 30, 2009 by galfoodie. I got excited when I saw the vivid green of fresh baby bok choy at the market last week. It is such a cool little veggie. And it’s just fun to say “bok choy.” Unfortunately my imagination ran wild, only to find that the fish department had closed for the evening and my sesame crusted seared tuna steaks would have to be replaced by something a little less exotic. Living on an island in Downeast Maine has it’s perks in summer, but winter brings a far less desirable set of circumstances, including but not limited to, a lack of fresh, edible produce, fish, and meat. It might seem odd to think that in an age of shiny Whole Foods markets, and a push for sustainable harvests, a grocery store could even get away with showcasing half rotting peppers, “pucky” cucumbers ($1.00 each!!! ), fish that looks dead, or pricey meat that has clearly been “prettied up” with a little help from red #47. But here, it is the norm, and what it forces those of us who know the difference to do is be a little more creative. So you can see why I got very excited when I saw the baby bok choy. I just KNEW I needed to treat it with the respect it was commanding, there, amongst the rusty lettuce and sprouting carrots. Instead of tuna steaks, I shall use London Broil. Say what? Yup. Take a less expensive meat, marinate it in homemade teriyaki, throw it on the grill, steam up the bok choy and the rabi, drizzle it with a little sesame oil, whip up a wasabi cream for dipping, pile it all on top of some nice rice and TAH DAH. A delicious, inexpensive dinner for 4, with lots of flavor and not a lot of fat or calories – all in about 20 minutes. Combine marinade ingredients. Place steak in a glass baking dish and pour marinade over steak. I like to make sure that the steak have been coated on both sides. Cover tightly with plastic wrap and put in fridge for at least 2 hours. Better overnight. I also like to flip my steak a few times so it’s absorbing the marinade evenly. At dinner time, grill to taste. I prefer mine medium rare. Make sure to let your steak rest, covered with foil for at least 10 minutes before slicing into thin slices. I have a really cool pot for steaming veggies. It’s an All-Clad Stainless-Steel 2.5-Quart Sauce Pan and Steamer Set . I know. A little extravagant, but I love it and I use it all the time. And if you look at the price of a compound miter saw, you’ll see that my “tool” costs less. Justified. 1. Steam the bok choy and the rabi together until bright green and slightly tender. 2. Cook rice to package specifications. For this dinner I’m using a basic white rice. * if using wasabi powder, you will find that adding it to sour cream alone does not activate it’s HOT properties. Adding water to the mixture, produces a very, very different situation all together. Start with a little and add more to taste. 4. Add wasabi cream right in the middle, or drizzle around the plate edge for a fancy restaurant look. The wasabi cream and the sesame oil add a great burst of flavor, and help to tone down the bitterness of the bok choy. This entry was posted in Uncategorized and tagged all-clad, asian food, baby bok choy, bok choy, broccoli, fish, quick dinners for two, rabi, rice, sesame, steak, stir fry, sustainable, teryaki, tuna, vegetables, whole foods on January 21, 2009 by galfoodie.